This statistic shows the trade value of vegetables imported to the United States from 2015 to 2018, by type. 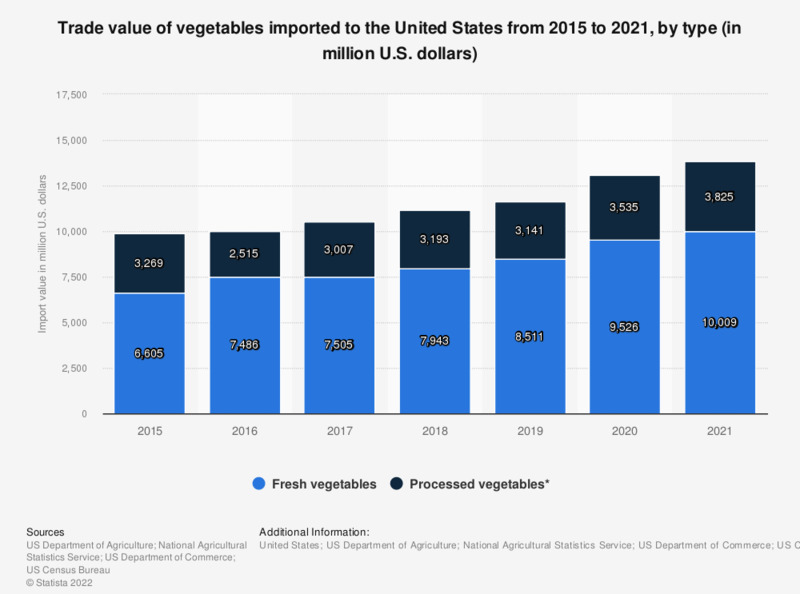 In 2017, U.S. imports of fresh vegetables were valued at approximately 7.35 billion U.S. dollars, and is forecasted to decrease to about 7.34 billion dollars in 2018. ***Includes canned, dried, and frozen vegetables.